Observation - Fungus/slime mould? - UK and Ireland. Description: Tiny black 'balls' on rotting wood. Some with the tops broken off showing hollow structure. 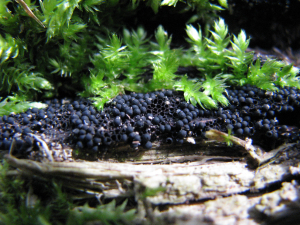 Tiny black 'balls' on rotting wood. Some with the tops broken off showing hollow structure.